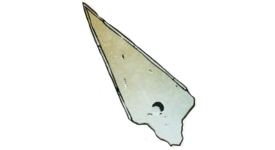 The powers of the seven shards of the Shattered Star are given below. The seven shards possess magical abilities, but do not grow in power as more are gathered. Only when the seven shards are united to restore the Sihedron itself can their true power return. In fact, carrying more than two shards can cause additional problems. A character who carries three or more shards of the Shattered Star becomes sickened by the competing magical effects. A character becomes staggered with four shards, nauseated with five, stunned with six, and unconscious with seven. These effects can be negated for 1 minute if the character succeeds at a DC 20 Will save, but immediately manifest if the character continues to carry multiple shards beyond that minute. Each shard comes with a curse that affects anyone who carries it. Even when the character ceases to carry a shard, the curse continues to affect him for another 24 hours. 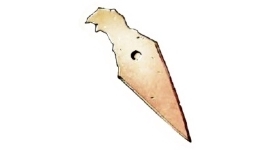 By placing an ioun stone of a specific type in the indentation in the shard, this curse is suppressed and the shard is activated. 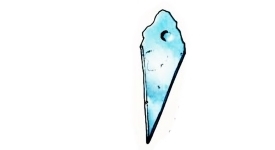 The ioun stone does not bolster the shard&apos;s powers in any other way, but continues to affect the person who carries the shard as though it were orbiting that person&apos;s head normally (even if the shard&apos;s carried in an extradimensional space like a bag of holding). 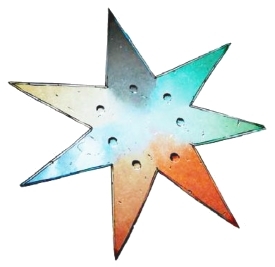 The caster level for the Shattered Star is unusual. In its current shattered state, the Sihedron draws its power from the creature that carries the shards, setting the caster level as equal to the owner&apos;s Hit Dice. All spell effects generated by a Shattered Star shard manifest at this caster level. For other effects, the shards have a caster level of 25th. 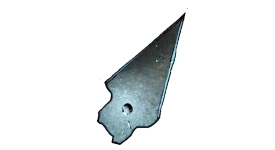 Unlike other artifacts, the shards cannot be destroyed individually. Only by recombining them into the Sihedron and then using that artifact&apos;s method of destruction can one destroy the shards. The Shard of Envy is made of shimmering green noqual. As long as the Shard of Envy is carried, its owner can use dispel magic as a spell-like ability once per day, gains a +2 insight bonus on saves versus abjuration spells and spell-like abilities, and gains a +1 insight bonus to AC. The owner covets the success, wealth, and appearance of all other creatures, and becomes sickened whenever she is within 30 feet of any creature of the same race or character class as herself. Physical contact with such a creature nauseates the owner for 2d6 rounds if she fails a DC 20 Fortitude save. The Shard of Gluttony is made of pale inubrix. As long as the Shard of Gluttony is carried, its owner can use vampiric touch as a spell-like ability once per day, gains a +2 insight bonus on saves versus necromancy spells, and increases his maximum hit points by 1 point per Hit Die. The owner is always hungry and thirsty, and is sickened whenever he has not eaten food in the past hour. The owner must make a DC 20 Will save to resist consuming any food or beverage (including potions and the like) he carries immediately. If the save is successful, the owner can resist the urge for 1 hour before being forced to make the save again. The Shard of Lust is made of a deep red djezet alloy. As long as the Shard of Lust is carried, its owner can use suggestion as a spell-like ability once per day, gains a +2 insight bonus on saves versus enchantment spells, and gains a +4 insight bonus on Initiative checks. The owner becomes narcissistic, and is sickened whenever he has not engaged in sexual relations with another creature within the past 12 hours. While the owner wears any sort of armor or magic item that occupies the body slot, he is staggered. The Shard of Greed is made of black adamantine. As long as the Shard of Greed is carried, its owner can use haste as a spell-like ability once per day, gains a +2 insight bonus on saves versus transmutation spells, and gains a +1 insight bonus on attack rolls. The owner becomes greedy, and is sickened whenever she is not wearing at least 500 gp per Hit Die in nonmagical jewelry and fine clothing. Each time the owner sells a belonging or gives one away, she must succeed at a DC 20 Will save or take 1d4 points of Wisdom damage. The Shard of Pride is made of coppery horacalcum. As long as the Shard of Pride is carried, its owner can use major image as a spell-like ability once per day, gains a +2 insight bonus on saves versus illusion spells, and gains a +2 insight bonus on all skill checks. The owner suffers delusions of grandeur, and is sickened whenever she must serve another creature as a subordinate of any sort for as long as that arrangement persists. She cannot gain the benefit of the aid another action, nor can she take the aid another action. 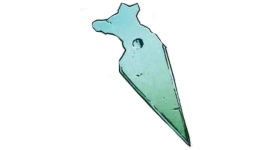 The Shard of Sloth is made of blue-green glowing abysium. As long as the Shard of Sloth is carried, its owner can use summon monster III as a spell-like ability once per day, gains a +2 insight bonus on saves versus conjuration spells, and gains a +4 insight bonus on all concentration and caster level checks. The owner becomes lazy and sedentary, and becomes sickened for 1 hour whenever he makes more than a single move action in any round. All of the owner&apos;s movement speeds are halved. The Shard of Wrath is made of sparkling silver siccatite that feels hot one day, but cold the next. As long as the Shard of Wrath is carried, its owner can use fireball as a spell-like ability once per day, gains a +2 insight bonus on saves versus evocation spells, and gains a +2 insight bonus on all weapon damage rolls. The owner becomes addicted to violence, and is sickened whenever she hasn&apos;t brought a living creature to -1 hit points or fewer within the last hour. Once the owner attacks a creature, she must make a DC 20 Will save if she wants to cease attacking; otherwise, she does what she can to kill the creature. Restore order to the routed Abbey. Recover a Shard. Keep Groteus sleeping. Defeat the demon controlling the abbey. Save/destroy the remaining priests. Defeat the demon Ardathanatus who is responsible for the corruption of the Abbey. The infamous blue dragon Cadrilkasta is leading the excavation of a Thassilonian ruin on Varisia&apos;s northern Storval Plateau, the Guiltspur. She has hired hill and fire giants to assist her.